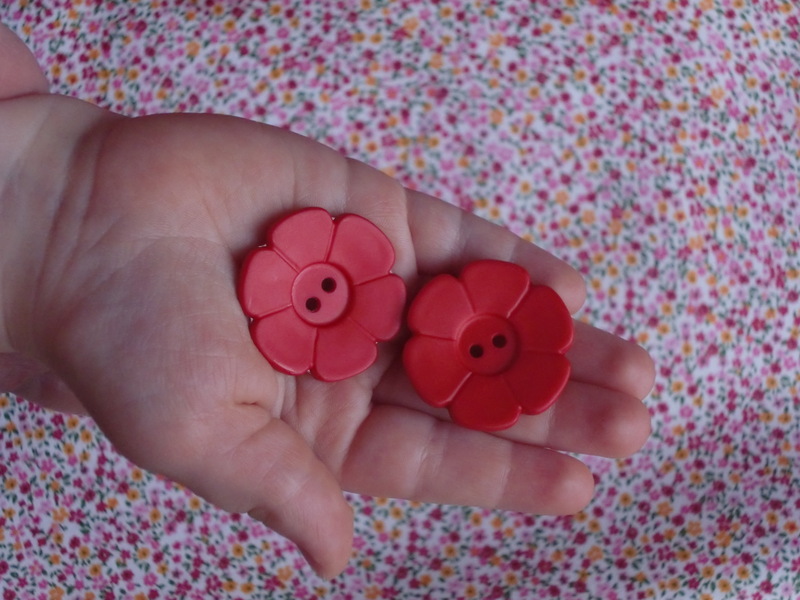 This project started out as a bit of crafting in the run up to Christmas…. best laid plans hey! I managed to get a fair way through the sewing, but Christmas just took over and I ran out of time. My eldest daughter Charlotte is well on her way to reaching 3 1/2 years old and like many little girls she loves to dress up. Just today she was wearing loads of my bracelets, a pair of my sunglasses, one of my winter woolly hats and a pair of my heels – oh so stylish! So anyway I had decided that I wanted to make her a Little Red Riding Hood cape. 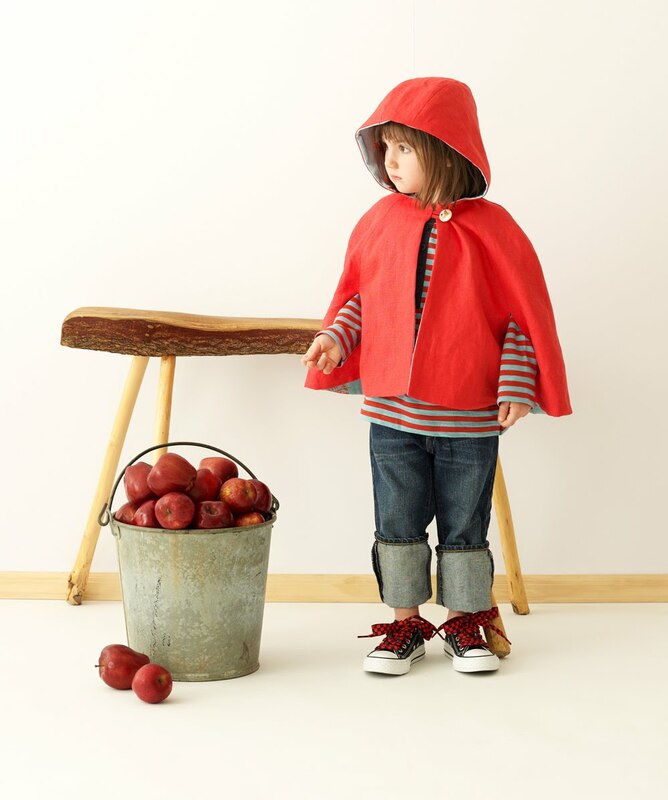 …but in the end it was the shape of the hood and the openings for little hands that won it for the Oliver+S pattern. In preparation I took a trip to my (not so local) fabric store in Shrewsbury Watson and Thornton. I went with the intention of buying some red fabric with a good amount of drape and flow, nothing too stiff, but they didn’t seem to have anything in red. I guess I could have made the cape in a different colour, but I had my heart set on red. Eventually I found a very sweet red broderie anglais. 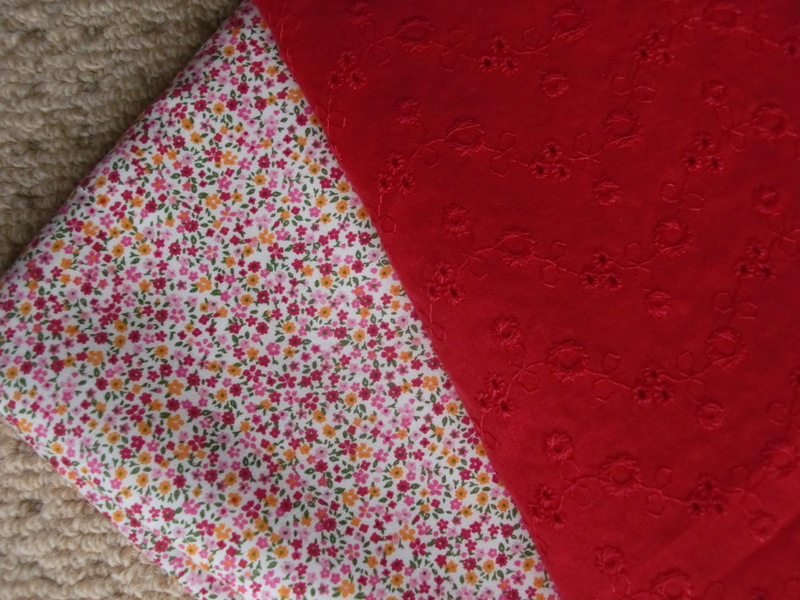 For the lining I was after a sweet floral print with a really small flower, and that’s exactly what I found. 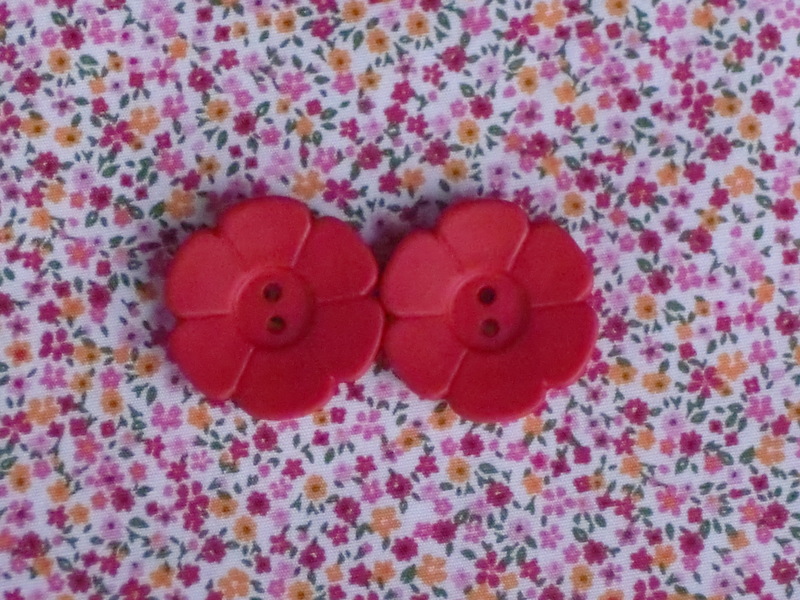 I even picked up a sweet button (two actually as I may try to sew neatly and I wanted to make it reversible). don’t you just love my photography assistant! My only problem is that I’m not sure she knows the story so I might have to buy her the book too! Hi! 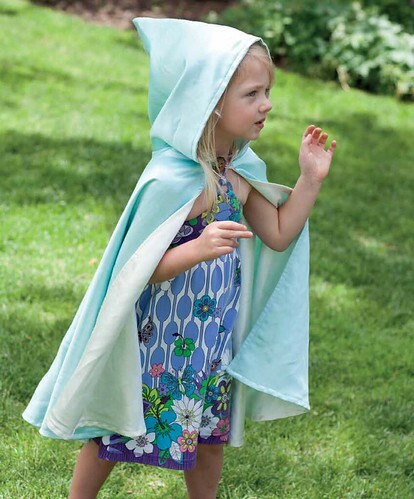 I have this book too and was about to make this cape even though I just bought too little wool fabric so I’ll have to make it with something else. My daughter is 3.5 too but what size did you make? The medium? I’m worried since she sometimes wears a 4 now so I was debating on making the large. Thoughts? Yours turned out great!